Home » News » Samsung Galaxy S7 Edge & S8 Plus Difference: Is it Worth Upgrading? Samsung Galaxy S7 Edge & S8 Plus Difference: Is it Worth Upgrading? It is always good to find and have new and shiny things that appear to be latest in the market. 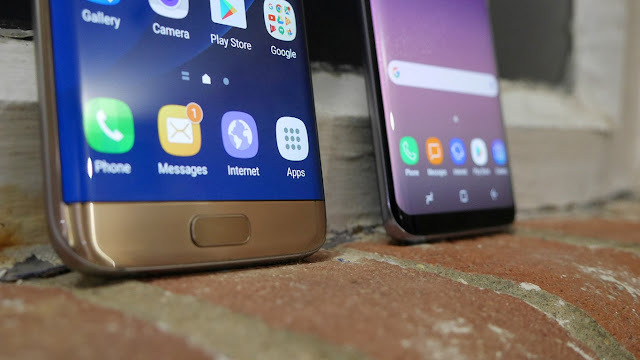 Especially when it comes to the smartphones, every year, tech nerds are in the confused state of mind that do they really need the latest smartphone or will last year model will be sufficient? Well, this is the most difficult question that you have to deal with. 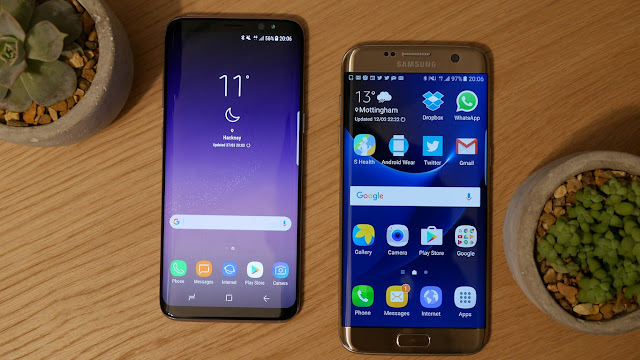 But fortunately, this year, we have got a comparison between the two clicking smartphones, the latest Galaxy S8 Plus and its predecessor, S7 Edge. Samsung Galaxy S8 Plus turns out to be the larger sibling of the Galaxy S8 – Samsung’s new flagship for the year 2017. While Galaxy S7 Edge was the previous version of S-Line, that created a new standard of features in the smartphone market. You might be wondering that is it worth upgrading your phone from Galaxy S7 Edge to Galaxy S8 Plus. Well, it totally depends on your own choice and how bigger you would like your display. Let’s compare the features of both the phones and make it easier for you to decide. While the Galaxy S8 Plus is expected to be the best smartphone ever in the history, Galaxy S7 Edge wasn’t bad though in its period. The comparison between the different features f these two phones would definitely help you to make your decision. 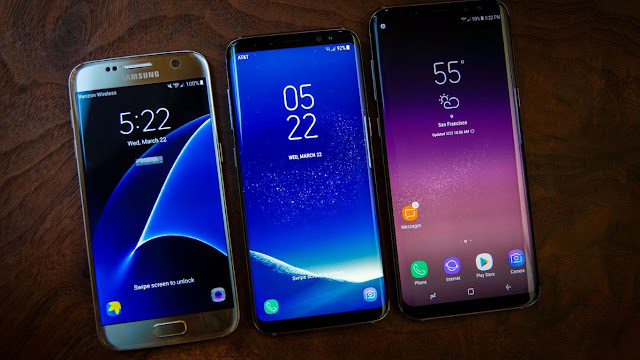 The main difference between the two phones lies in their display sizes and aspect ratio and that is what that decide your next phone. Coming to Galaxy S7 Edge, this phone has got the Quad HD display with 5.5 inches screen size. While its competitor, Galaxy S8 Plus has got the bigger Quad HD AMOLED display with the screen size of 6.2 inches. The significant difference in the screen sizes would influence your choice. If you want a regular phone that can fit comfortably in your hand, you can easily go with the Edge option, while if you are the nerd of HD movies, gaming, and 4k videos, the bigger sibling awaits you. Despite the larger screen, the Samsung Galaxy S8 Plus is not equipped with the larger battery and RAM. Though it got the faster processor with 32GB internal storage. The Galaxy S7 Edge would offer you the same battery life and processing. With the expected Galaxy S8 Plus launch, the S7 Edge phones were upgraded with the Nougat 7.0 update, that’s great if you are considering a phone with the latest software. With this upgrade, there’s no as such difference between the S8 Plus and S7 Edge. Especially that now you can get the S8 launcher as well in your S7 Edge. The camera hardware is not much modified in the Galaxy S8 Plus. It did receive a bit of modification and trim in the additional features. But there’s no revolution in the camera pixels itself. The Galaxy S8 Plus has got some additional features that differentiate it from Galaxy S7 Edge. The phone’s got incredible biometric features like a fingerprint scanner, an iris scanner, facial recognition etc. moreover, the virtual assistant, Bixby is also a plus in the Galaxy S8 Plus. Samsung DeX capabilities also made it a superior version from the S7 Edge, but if you are not looking for these features, Samsung Galaxy S7 Edge is your way out. 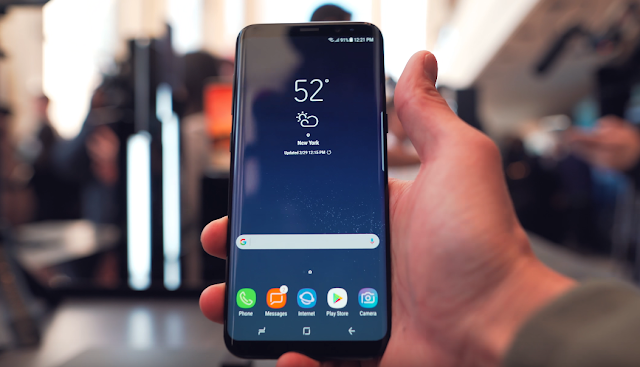 You might also be interested to check out Hands-on Videos of Galaxy S8 Plus and 6 Interesting New Galaxy S8 Plus Features. If you are Galaxy S7 / Edge owner and have installed Android Nougat 7.0 software update, you can try out Galaxy S8 Plus Launcher + Bixby AI on your Galaxy S7 / Edge smartphone. As seen from the comparison, there aren’t that major features in Samsung Galaxy S8 Plus that got modified. So, if you simply don’t care for the larger display. Latest eye catching design and some additional features as highlighted above in point number 5. You would definitely need to consider saving your money. And keep your Galaxy S7 Edge until Galaxy S9 arrives with something big and more spectacular. What do you think? Let us know in the comments below.